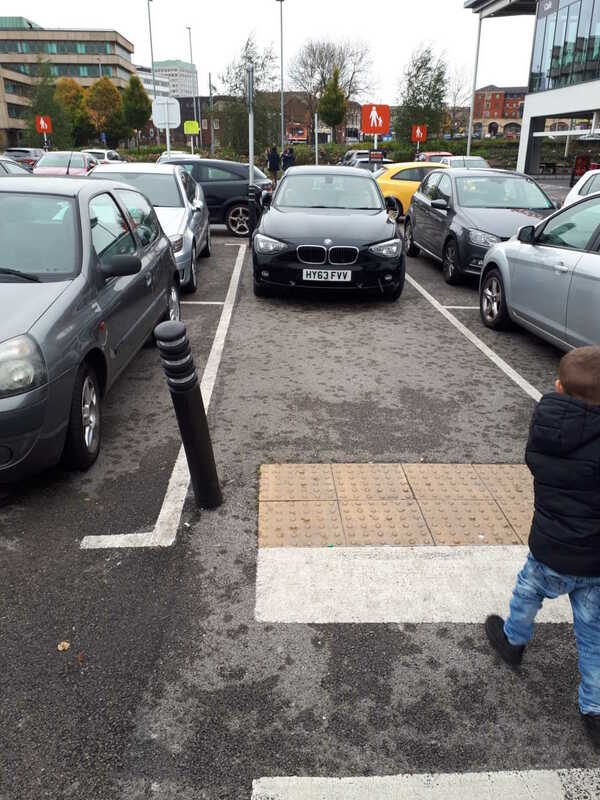 Footpaths and Crossings are parking spaces for BMW driver's at Sainsbury's Wolverhampton! Description: Selfish parker parking in front of a crossing and in a walkway. Plenty of spaces in the massive under store car park, yet either this person seriously needs to have their eyes tested or am just damn selfish!